Artists are bringing the digital nature of cryptocurrency to life by creating and displaying eclectic and unique pieces that draw inspiration from the buzz around virtual currency. The art world has long been regarded as a stodgy traditional institution that is merely a place for the wealthy. Rapid changes in the technological sphere are now getting people in the industry to think about when these two worlds will collide. 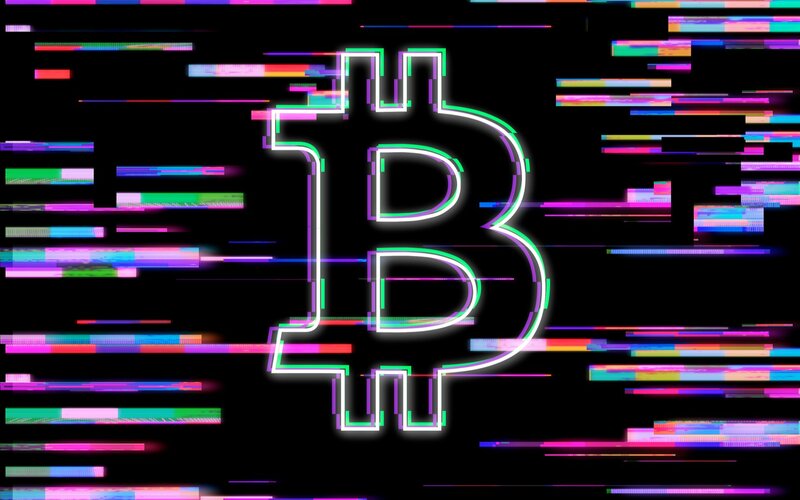 A growing number of artists have been viewing cryptocurrency and blockchain technology as a good opportunity to investigate and experiment ideas related to value, the digital world, and abstraction. Their ensuring works seem to be the start of a new art culture that draws inspiration from popular virtual currencies like Bitcoin. One of the better-known examples of ‘crypto art’ is Kevin Abosch’s Stealing The Contents of This Wallet Is A Crime. The piece was part a project called ‘I AM A COIN.’ The project had Abosch creating 10 million ERC-20 ‘IAMA’ coins. 100 of them were stored “in” the aforementioned artwork, which was publicly displayed until the tokens were stolen. Some crypto-inspired works of art have fetched relatively high prices at auction. 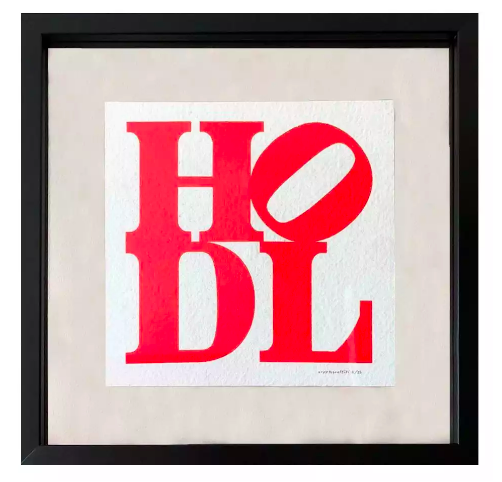 Based off of Robert Indiana’s LOVE work, cryptograffiti created a series of serigraphs on “used central bank” money bags that substituted LOVE for HODL. One of the serigraphs later sold at auction for $8,000 to crypto-connoisseur Mike Novogratz. At a separate auction, cryptograffiti had a piece called “Terrible Store of Value” sell for $33,000. The work was intended as a response to when JP Morgan’s Jamie Dimon called Bitcoin “a terrible store of value” in January 2014. 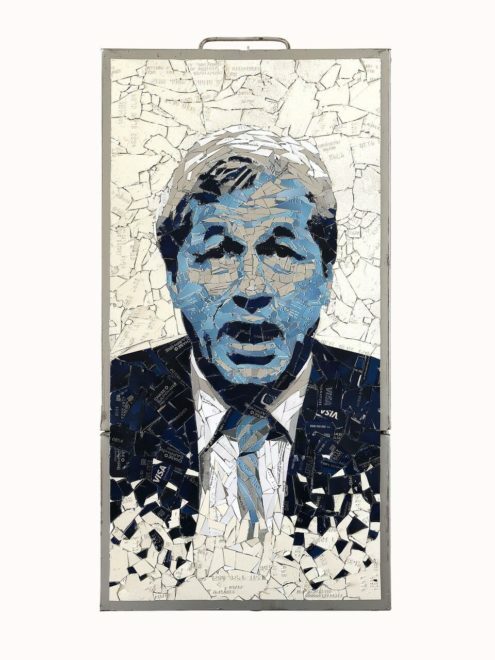 It depicts Dimon in a “disintegrating state, mirroring the public’s trust towards traditional banking institutions,” according to cryptograffiti’s website. HODL was part of a series of pieces being auctioned off in May 2018 that all centralized around cryptocurrency. Other auctions at the event included a painting from UK-based Terry Cook, who simply paints cryptocurrency symbols. 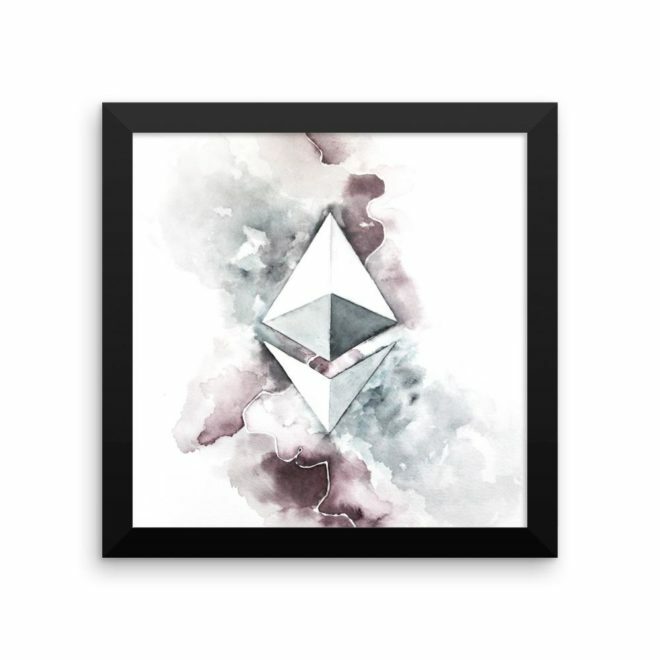 Cook, who thinks its “natural that art and blockchain technology intersect,” saw his work Ethereum go for $2,800. Even though some works of crypto-themed art have been fetching high prices at auction, some other artists have been more than happy to show off their creativity and talents for free. In February, Instagram user ‘thisisludo’ posted a work of street art asserting how Bitcoin was bringing “power to the people” by sending the banking system to its death. Another artist, Pascal ‘PBOY’ Boyart, has been painting QR codes to his street murals that invite admirers to send him Bitcoin 00. 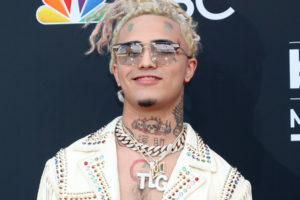 According to The Next Web, Boyart has received more than $1,000 in digital currency from some of his fans. Now, Boyart is part of an upcoming artists’ celebration called Art (r)evolution that is paying homage to Bitcoin’s 10th birthday. Those in the exhibition have been challenged to explore how digital currencies can impact relationships with audiences. Attendees will have the opportunity to buy works with virtual currencies like Bitcoin, Litecoin, Ethereum, and Monero. What do you think about the arts culture surrounding cryptocurrencies? Let us know in the comments!